Joe Kelly is a Partner in A&L Goodbody's Litigation and Dispute Resolution Department. He has developed a strong litigation practice in the Commercial Court and co-leads the Fraud & White Collar Crime Group. He advises clients involved in regulatory investigations and/or prosecutions brought in the criminal courts. He is a lead adviser to financial institutions and automobile companies in relation to recent high profile investigations in Ireland. In addition, Joe co- heads A&L Goodbody's boutique Gaming and Betting practice. Motor vehicle companies in dealing with an investigation into emissions and related litigation. PTSB in advising and assisting with its response to regulators and dealing with litigation arising from an investigation into mortgage lending. A leading charity in dealing with a cross jurisdictional regulatory investigation including the U.S., the U.K., Turkey and Syria and involving the Office of the Inspector General (OIC) in Washington. A leading pharmaceutical company under investigation by the Health Products Regulatory Agency (HPRA) and advising in relation to interviews under caution. ABP on a range of personal injury claims and injuries sustained at work. 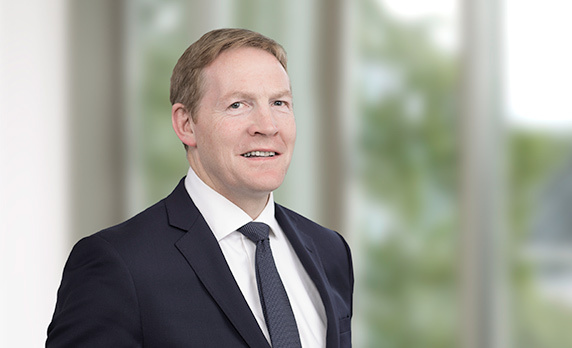 Element Six in its successful defence of claims for in excess of €100 million brought in the Commercial Court in relation to the wind-up of a defined benefit pension scheme. Companies and executives in relation to “dawn raids” on their premises and to the homes of executives, in connection with regulatory and other investigations. On the renewal of approximately 25 online bookmaker and betting intermediary licences pursuant to the Betting (Amendment) Act 2015. Clients in the hotel, restaurant, club and pub sector, on the opportunity to licence new or upgraded premises, for the sale of alcohol. Clients under investigation by the FBI, the FDA and the US Department of Justice, and working with US and other overseas lawyers in such investigations. Domestic and overseas clients on mandatory reporting requirements regarding information in relation to ‘white collar crime’ or other potential regulatory breaches. Joe is a fellow of the Chartered Institute of Arbitrators, Irish Branch, and is a practicing Arbitrator. He is a founder member of the Irish Commercial Mediation Association and is a practicing Mediator, having been involved in approximately 50 Mediations to date. Joe is a former chairman of the Law Society's Arbitration and Mediation Committee and a former member of the Law Society Criminal Law Committee. He is also on the Law Society of Ireland Panel of Mediators. Joe is a member of the International Masters of Gaming Law, one of the leading international organisations in the Betting & Gaming industry.